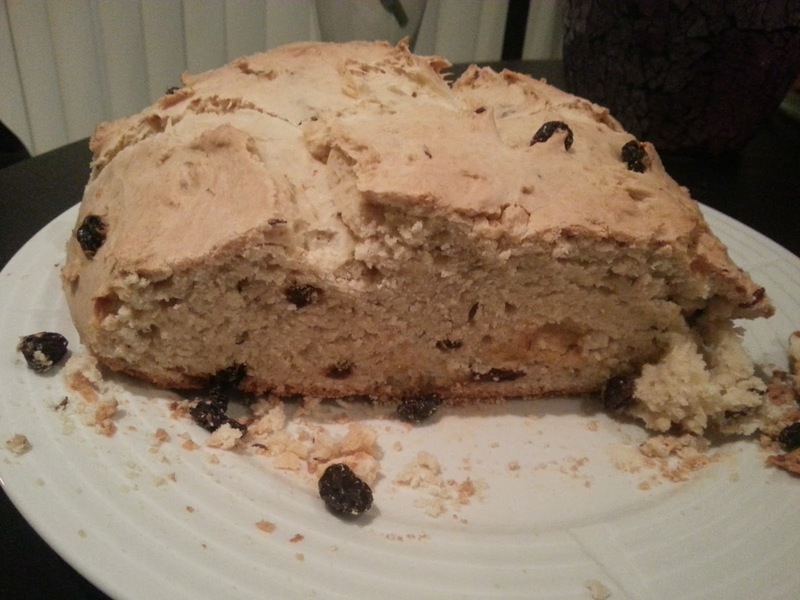 Since St. Patrick's Day is one of my favorite holidays, I figured leading off with a traditional Irish dish would be a great way to start my very first blog post. I asked my mom for my Nana's recipe (my mom's mom). She was born and raised in Ireland (County Cavan), so I figured it couldn't get more authentic of a recipe than that. 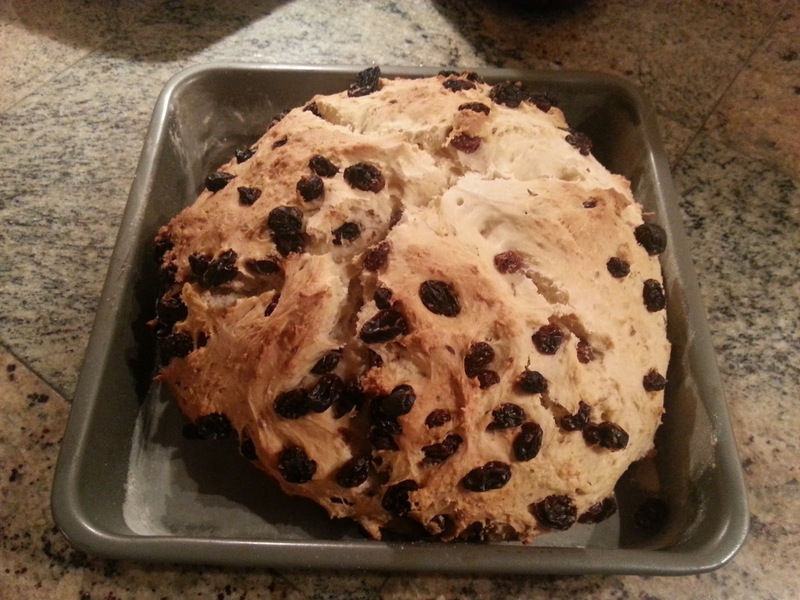 It turns out that instead she gave me a different family recipe - one from my father's family's side (from County Kerry). She did realize afterwards, so I actually have, and tried, both recipes. 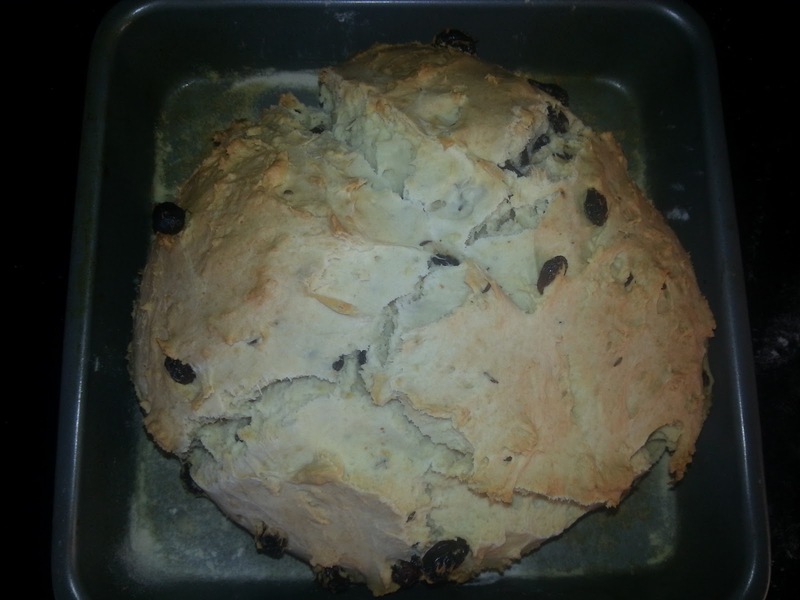 My Nana's recipe is more bread-like, while the recipe from my father's side is sweeter. Both are great, but it just depends on preference as which you would like better. Ireland is at sea-level, so I had to modify the ingredients a bit for the high altitude here in Denver. I looked at a recipe on High Altitude Bakes for some guidance on what adjustments I would need to make. I was delighted when both attempts at these recipes worked out on the first attempts. FUN FACT: The cross cut into the top is to ward off the devil and protect the household. Beat eggs, buttermilk and butter and then slowly beat in the rest of the dry ingredients (except caraway seeds and raisins). The batter will be thick; beat until all ingredients are mixed. Next stir in the raisins and caraway seeds. Place the batter in a greased and floured pan. Cut a cross in the batter. Bread is done when it is golden brown and the outside is hard. Store in the fridge. Sift flour and add powder ingredients. 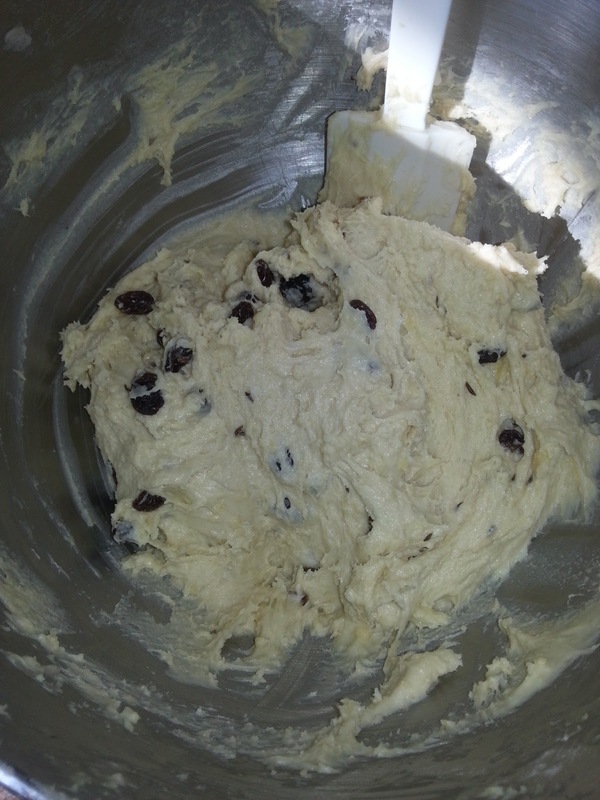 Add all other ingredients (except caraway seeds and raisins). 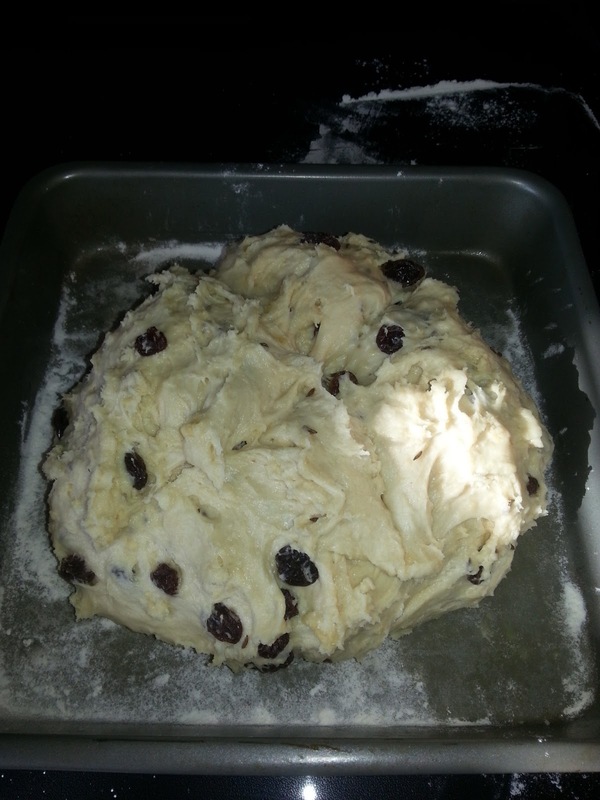 Once the batter, which will be thick, is completely mixed, stir in the raisins and caraway seeds. Place the batter in a greased and floured pan. Cut a cross in the batter.